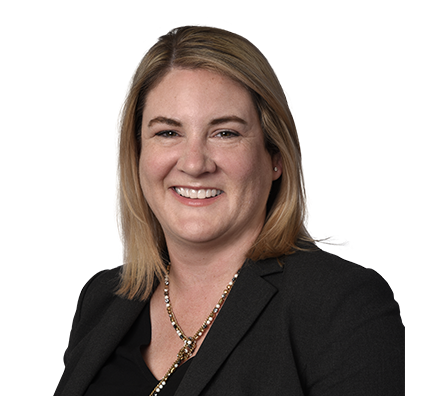 Kimberly assists legal teams in complex litigation matters. Kimberly is experienced in assisting trial teams in all phases of the litigation process at the state and federal levels. She helps attorneys manage cases from initial investigation through large-scale document production, arbitration and pretrial preparation. Attorneys rely on her help with complex, multiparty, high-profile litigation cases at trial and she is highly skilled in trial software systems. Contract disputes, collections matters, fraud, covenants not to compete and trade secrets, real estate, wrongful termination, breach of fiduciary duty, and employer and employee relations disputes are some of the matters for which Kimberly regularly offers support. Getting to know – and help – clients from all over the United States in different business fields is the most rewarding aspect of the job for Kimberly. Assisted attorneys in obtaining $13.1 million unanimous jury verdict in violation of due process claim. Lily F. Tercero v. Texas Southmost College District, case no. 1:16-CV-00282, U.S. District SD Texas, Brownsville Division. Served legal team that secured jury verdict in favor of The London Wineman for fraud and misrepresentation regarding purchase of vintage wine, specifically 1945 Chateau Mouton Rothschild. The London Wineman, Inc. v. Michael C. Mewhinney, et al., case no. DC-07-13152, 193rd Judicial District Court, Dallas County, Texas. Supported attorneys in obtaining defense verdict of "zero" in breach of contract claim arising out of construction loan agreement. Carolyn A. Adams v. National City Mortgage Co. and Steve Paulson d/b/a Steve Paulsen Properties, case no. 141-208136-04, 141st District Court of Tarrant County, Texas. Assisted the legal team that obtained $6,221,626 unanimous jury verdict in quantum meruit construction case. Beard Process Solutions, Inc. v. Brandt Industrial, LLC, case no. DC-14-13334, 14th Judicial District Court, Dallas, Texas. Served on the legal team that obtained $4.4 million award from county commissioners in condemnation proceeding where Texas Department of Transportation's initial appraisal of damage was approximately $800,000. North Texas Tollway Authority v. Benbrook Winchester, LP, case no. CC-08-09638-D, County Court at Law Number 4 of Dallas County, Texas. Agreed final judgment subsequently entered for $3.98 million. Helped attorneys secure defense verdict in slander of title and injunction action arising out of alleged easement. Prestonwood Tower Ltd., et al. v. Piedmount Montfort Partners L.P., et al., case no. 05-CV-05157, 298th Judicial District Court of Dallas County, Texas. Assisted attorneys as they obtained defense verdict of "zero" in breach of contract claim arising out of alleged referral agreement. Soraya Fletcher d/b/a Exquisite Stone v. Mark S. Thompson and Denmark Inc., d/b/a Murray Appliance, case no. 2006-50318-367, 367th District Court, Texas. Supported legal team as they obtained defense verdict of "zero" in breach of contract claim arising out of warehouse lending relationship. First Financial Equities Inc. v. First Savings Bank F.S.B., case no. 236-197247-03, 236th District Court, Texas. Kimberly spends her free time at her children’s sporting events, and she’s usually found at either her son’s varsity baseball games or her daughter’s basketball games.